Puzzle Directions: Click on a puzzle piece and drag it where you want it. When you connect two pieces correctly, they will join together. Mix up the pieces again. View finished map in pop-up window. 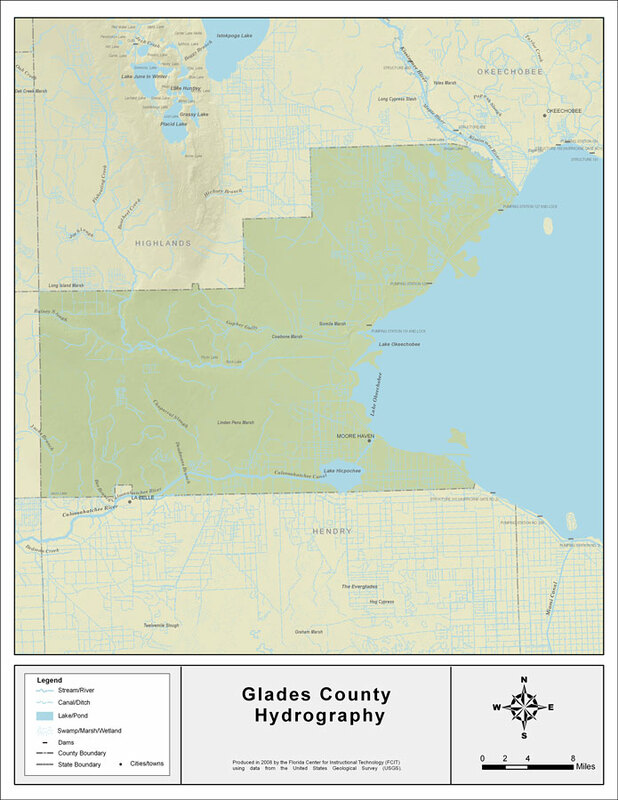 Description: This map was created by FCIT and shows the waterways of Glades County. All major rivers, streams, creeks, lakes, and swamps are labeled. This map features the Kissimmee River, Lake Okeechobee, The Everglades, Gopher Gully, Fisheating Creek, Chaparral Slough, Bee Branch, Pollywog Creek, Cypress Branch, Deadmans Branch, Caloosahatchee River, Lake Hicpochee, and Jacks Branch.